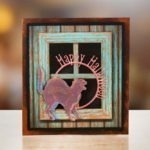 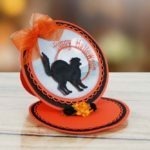 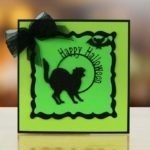 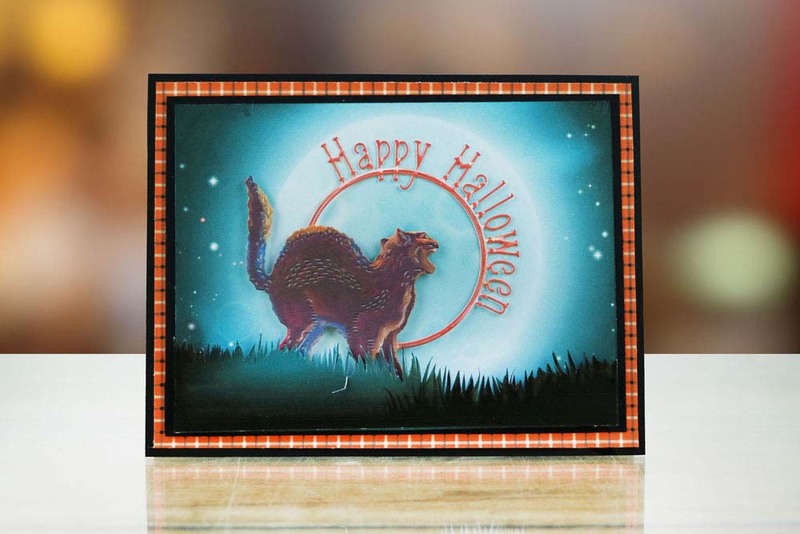 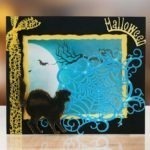 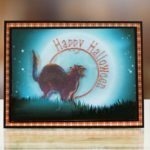 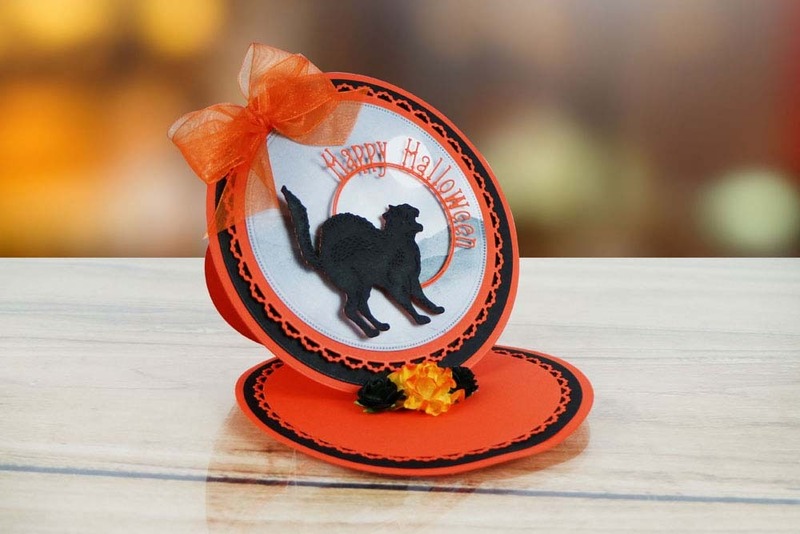 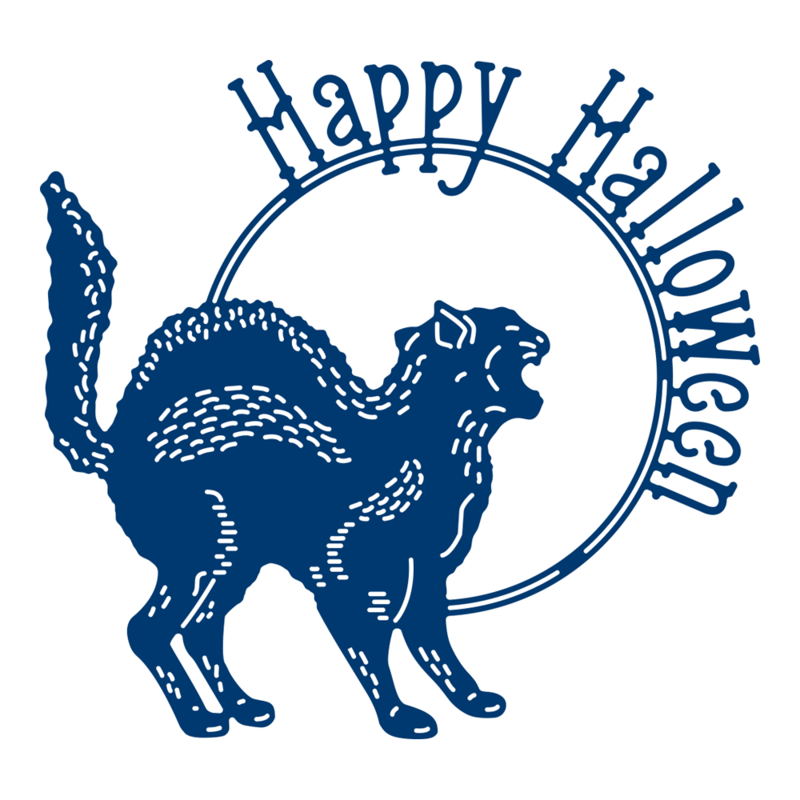 The Midnight die features a Halloween cat with a circle aperture and a Happy Halloween Sentiment. 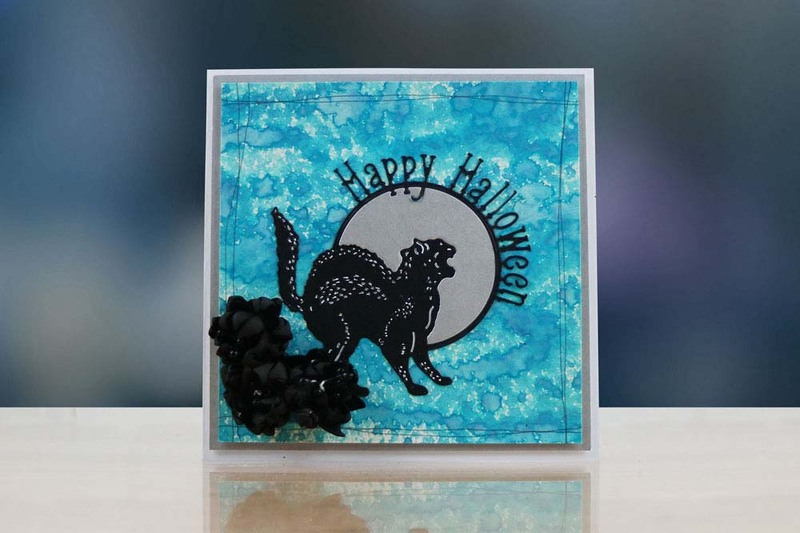 The size of this die makes it perfect to use as a centre piece, add some glitter to the circle aperture to make it shine like the moon. 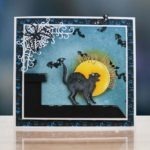 This versatile die can be decorated in many different colours, give the lettering a different colour to the background to make it stand out. 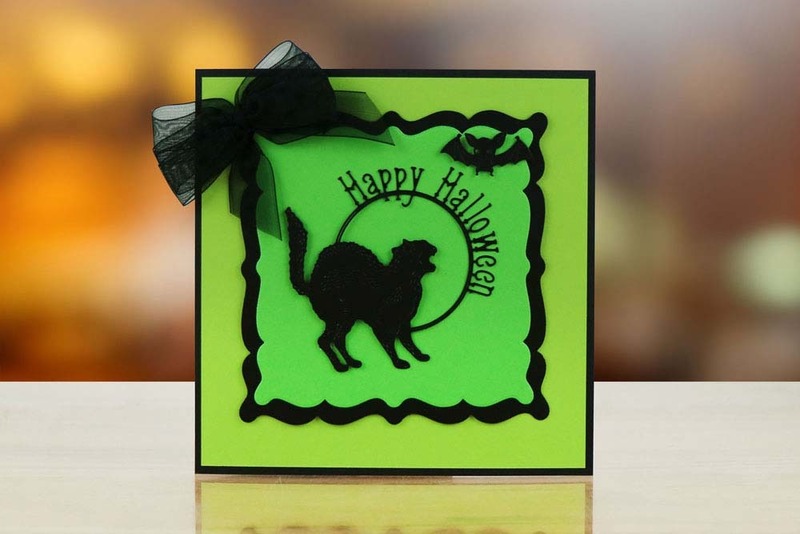 Use the ‘Happy Halloween’ lettering singly or use ‘Happy Halloween’ on its own without the extra decor. 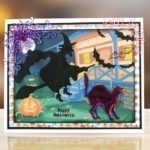 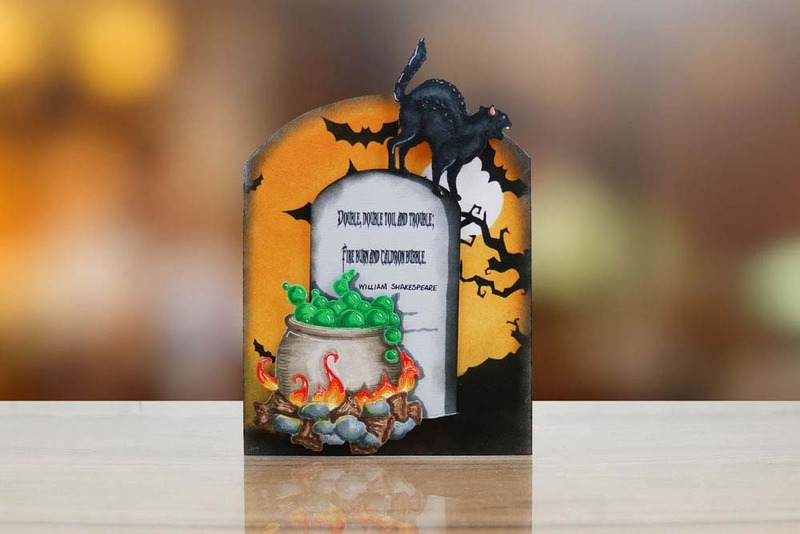 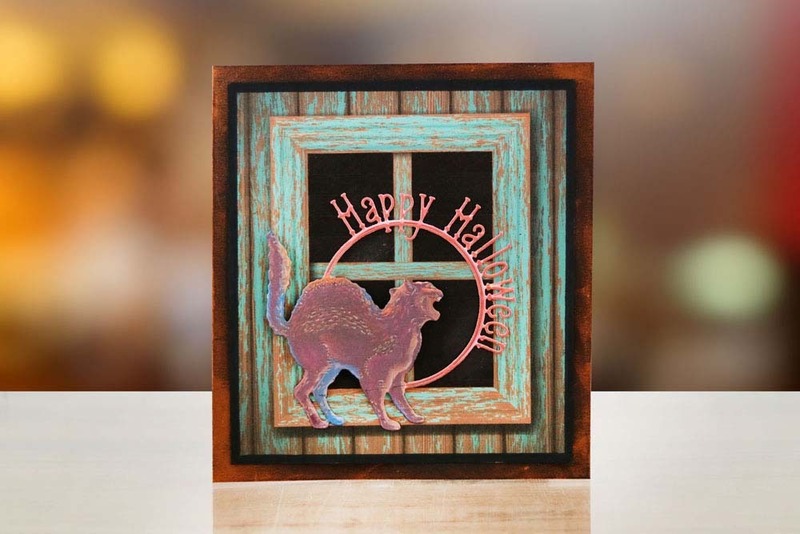 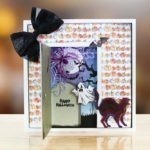 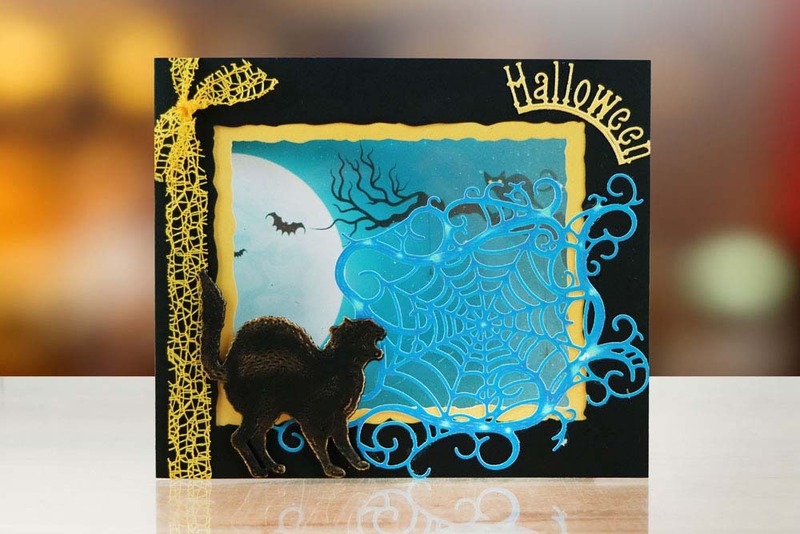 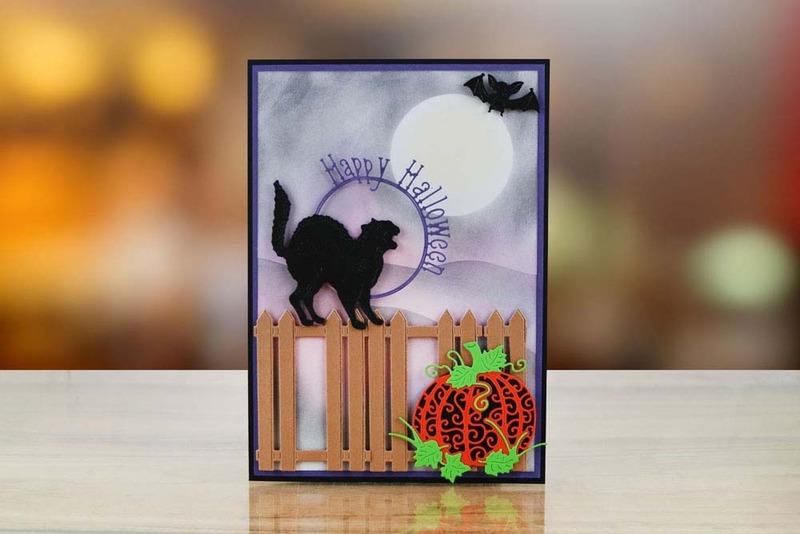 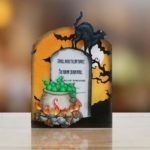 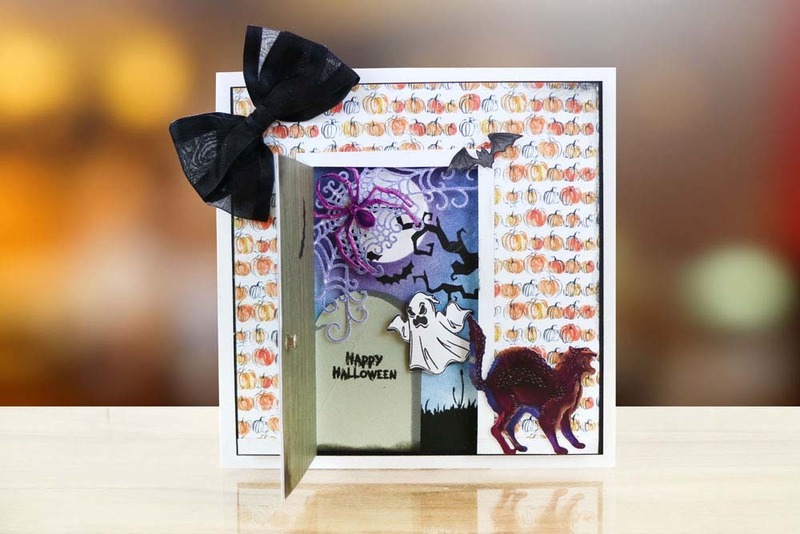 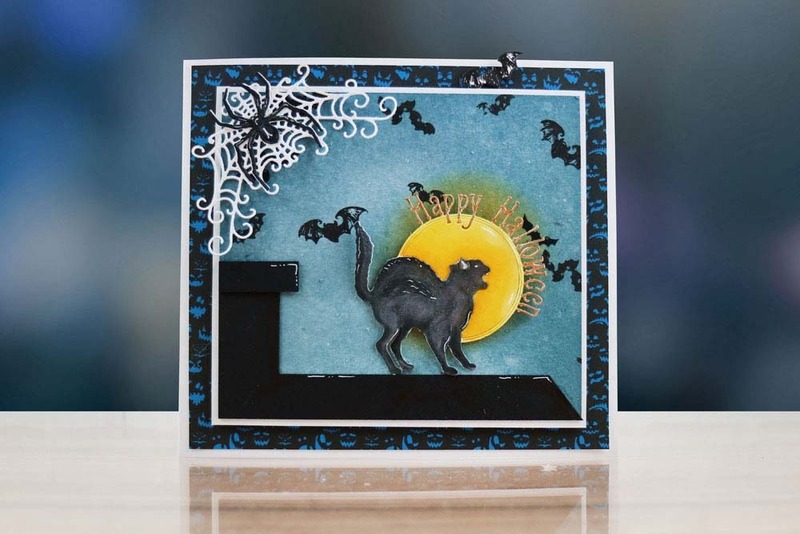 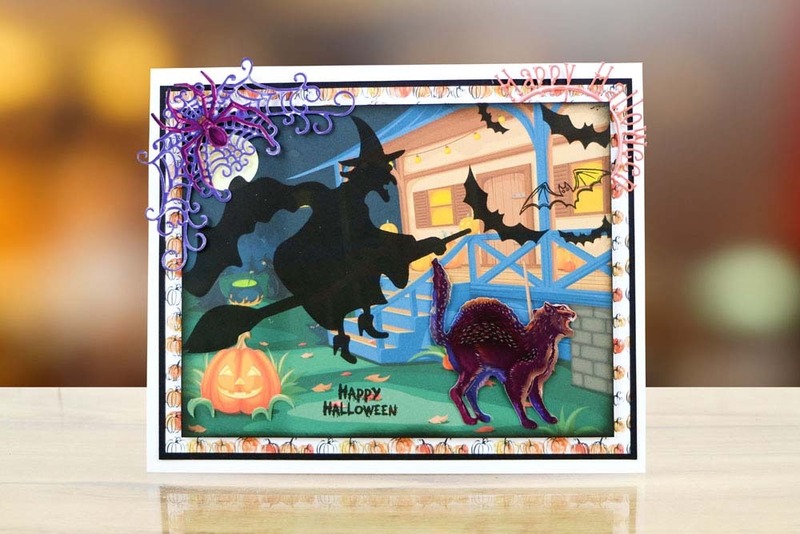 Use alongside the other Tattered Lace dies in the Halloween Collection, such as outside on a fence, add within a witch scene or next to a cauldron and many more. 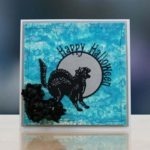 This die measures approx 9cm x 8.5cm.